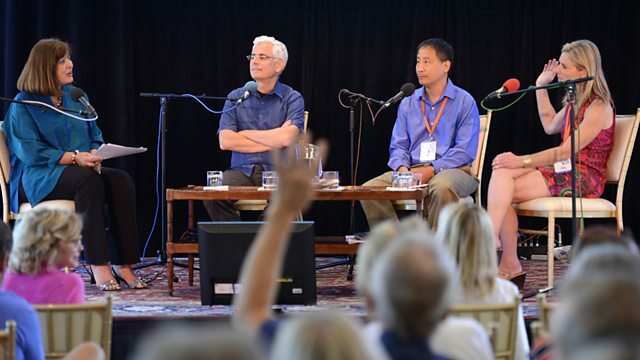 Space science from the Aspen Ideas Festival in Colorado. Ed Lu hunts for deadly asteroids, Lisa Randall probes the dark matter, and Craig Hogan measures the bandwidth of reality. Asteroids threat: "Eventually our number will be up"
Are we smarter than the dinosaurs? Former NASA astronaut and now an asteroid hunter Edward Lu says the jury is still out. There are about a million sizeable asteroids in Near-Earth orbit, each capable of wiping out a major population centre, and yet we have discovered less than half of one percent of them. Within five years, Lu’s Sentinel telescope could start mapping thousands and thousands of large asteroids, giving us warning of approaching danger, but will we have the foresight to support his mission? Photo © All rights reserved by aspeninstitute-internal.